Our skilled staff can provide any renovation needs for ADA compliances. With new codes strongly enforced, many businesses are in need of changes. 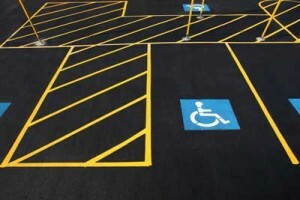 Hal’s Construction can provide all compliances from handicap sidewalk installation and asphalt ramps to ADA stencils and signs. Of course, our estimates are always free and competitive.